We all know how to check if our car is running low on gas, but do you know how to check your tire pressure? More importantly, what should you do if your tire pressure is low? ”Checking your tire pressure regularly is the best way to be certain that your tires are running at the predicted pressure level. It’s best if you check them every time you fill your gas tank. It will take only couple of minutes. The tire pressure level is written on a sticker located on your drivers side”. 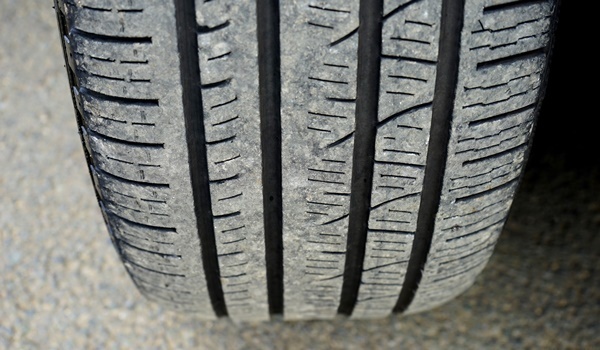 In normal weather conditions, you should check your tire pressure every 2 weeks. In the winter time when it gets extremely cold, I would tell you that we need to be checking at probably once a week. Scott Zubrod is a senior instructor at Dunwoody college. He says it’s most important to check your tires when they’re at their coldest. It’s proven for every 10 degrees the temperature drops, you’ll lose one pound of pressure. Say if you go from 0 to 20 below, you have now just lost two pounds. Should we go off the recommendations of the tire or what the vehicle recommends? We don’t want to go out from the tire because the tire is the maximum pressure that the tire can hold. That’s by the manufacturer. Instead, Zubrod says check the required tire pressure from the sticker that is located on your drivers side door. much more important to check the tire pressure in cold weather. Vehicle manufacturers take weight, torque, and the size of the vehicle into consideration to determine the contact footprint. A tire that is low on air pressure completely crumbles like cookies. When the tire’s low on pressure, it will roll over more, and you’ll start to develop dangerous friction as it rolls into the sidewall. It’s dangerous to drive with tires that are low on pressure, especially if you don’t know it’s going on. If you’re not realizing it. Ideally, the air pressure is what maintains the height of the tire, and how rigid the sidewall is gonna be. If you run it low on pressure, you actually reduce the surface contact. So the tire will actually wear the outside edges, and you’ll lose partial contact with the center portion of the tire. So you could have hydroplaning when you go into a turn. Beyond the safety of the tire, whether it’s under-inflated or overinflated, there’s also the economic value of having it properly inflated. So, if you’re running a tire low on pressure, it builds up more rolling resistance, which requires more energy, and in turn, more fuel. So if you run your tire at the air pressure that’s recommended by the vehicle manufacturer, you can get an additional two weeks of free fuel consumption. The other thing being that a tire that’s eight pounds below its recommended pressure, will get 15,000 kilometers less tread life over the course, which it could be an additional year of driving. First, check the proper tire pressure for your tires. This information can be listed on the sticker inside of your driver’s side door, or in your owner’s manual. On some car’s it’s located inside of the fuel door. Place the gauge head over the valve stem on your tire. If you’re using a digital gauge, you may have to press the button for the gauge to start reading the air pressure. If you’re using a pencil style gauge it’ll begin reading the pressure automatically. 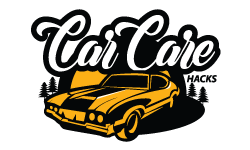 But, definitely check the manual that came with your air pressure gauge for how to properly use it, If you’re hearing a hissing sound, then the gauge head is not pressed firmly enough over the valve stem, or it’s not parallel to the valve stem. So, make sure you reposition it. Now, compare the measured pressure to the proper pressure. Do not compare it to the pressure listed on your tire. If the measured PSI is above the proper number, let air out by pressing on the center pin of the valve stem until it matches the proper number. If the measured PSI is below the number, add air until it matches the proper number. If you own an automatic air pump, or even a bicycle pump, then great you can use those. If not, most gas stations have a coin-operated air pump. Place the tip of the hose over the valve stem. Hold it firmly and listen as the air fills the tires. If you hear a wild spraying of air, reposition the hose tip flush against the valve and hold it firmly. If your tires are low on pressure and may take up to a few minutes to fill them. If you’re just topping them off, the process may take only less than 30 seconds. But, be sure to check every 15 seconds or so. When you think you’ve had enough air, pull the hose away and use a tire pressure gauge to check the air pressure. If you’ve added too much air, release some air in small increments until the measured pressure matches the proper pressure. If you’ve added too little air, grab that hose and add some more. Should I Higher The Tire Pressure In Winter Time? Some vehicle manufacturers recommend that you higher your tire pressure during winter time. While none of them actually say why, there are some theories that can support the practice. in winter time, checking tire pressure becomes more important. The weather conditions has major influence in tire pressure changes. It is advised to check pressure values at least once a week and before each longer journey. Recommended 2 bars pressure for tire inflated in 20 Celsius degrees will drop to 1.8 bars in 0 Celsius degrees. Another temperature drop to a level of about -10 Celsius degree will result in 1.7 bar pressure. At a minus 20 Celsius degrees tire pressure will reach only 1.59 bar, which is 20% less than manufacturer recommendation. 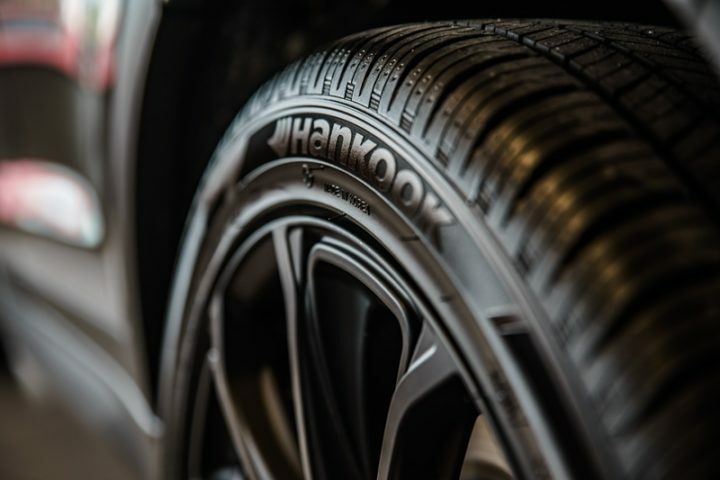 Having correct tire pressure ensures optimal grip level dedicated for a vehicle which is extremely important, especially in tough winter weather conditions. However, there is no middle ground and adjusting to correct pressure may be difficult in frequently changing weather conditions and temperatures. Thus, for safety reasons it is recommended to increase tire pressure by 0.2 bar when low temperatures last longer than few days. It is important not to forget about adjusting tire pressure again when temperature rises. I hope that this article provided the information that you were looking for. Short summary, always make sure to check your tire pressure. I do it every time when I fill my gas tank with fuel, which is every week. It only takes me 2 minutes. If your tire looks kinda flat, even if the tire pressure is in the recommended borders, make sure to go to your local store and have a specialists check them. Also, when buying new tires, make sure you check the year of the manufacturing. Back in 2017, I bought a brand new tires, but when I carefully inspected the tires, the manufacturing date was 2014. So that’s that. Do you have any experience that you want to share?